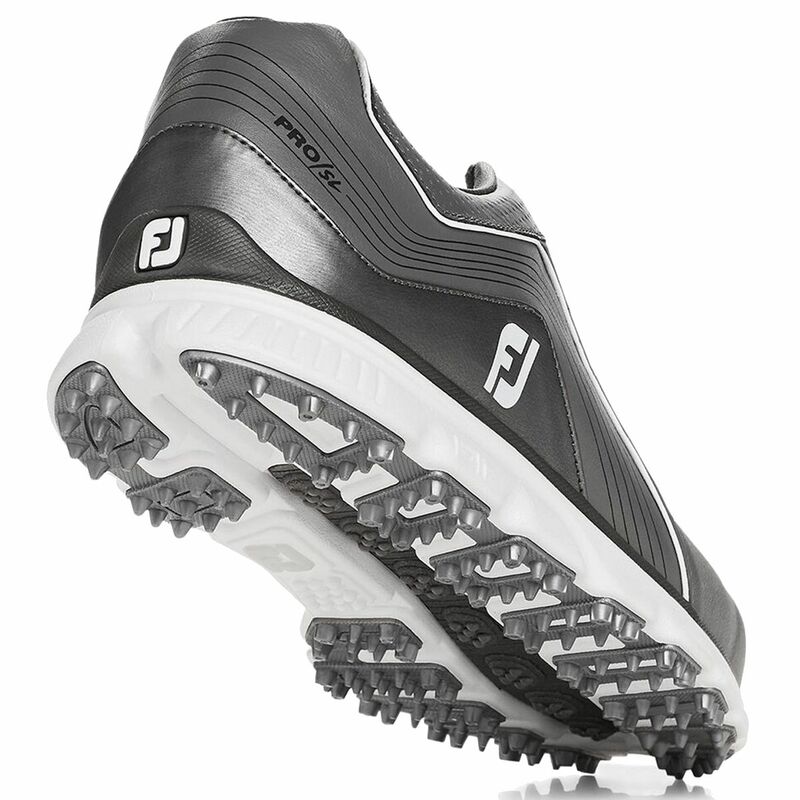 Experience Tour proven spikeless performance when you are wearing the FootJoy Men’s Pro/SL Golf Shoes. Built with lightweight, waterproof ChromoSkin™ uppers designed to deliver comfort and performance in any conditions and lightweight cushioned fit beds provide underfoot comfort and heel support with each step. 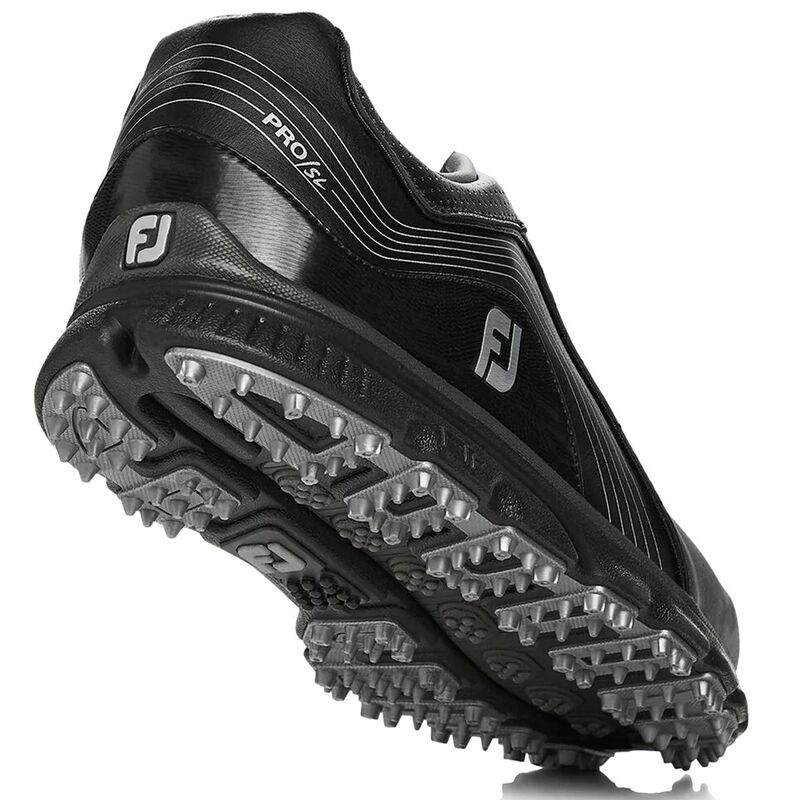 Proprietary dual-density FTF™ outsoles deliver the traction demanded by the world’s best golfers. The full manufacturer's warranty from Foot Joy is only valid when the Foot Joy Pro SL Golf Shoes is purchased from an Internet Authorized Dealer. We will match any Internet Authorized Dealer's best price on the Foot Joy Pro SL Golf Shoes. 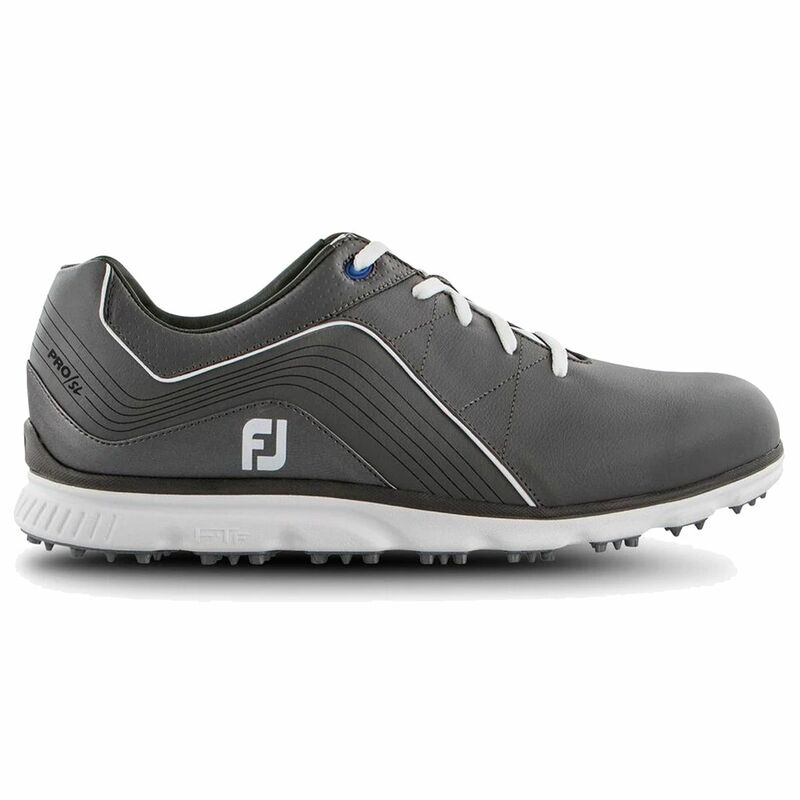 The Foot Joy Pro SL Golf Shoes may be referred to by the following terms: 53270/GREY/10, 53270/GREY/10.5, 53270/GREY/11, 53270/GREY/12, 53270/GREY/13, 53270/GREY/9, 53270/GREY/9.5, 53273/BLK/10, 53273/BLK/10.5, 53273/BLK/12, 53273/BLK/13, 53273/BLK/9.5, 739248967355, 739248967362, 739248967379, 739248967386, 739248967393, 739248967416, 739248967423, 739248967614, 739248967621, 739248967638, 739248967669, 739248967676.